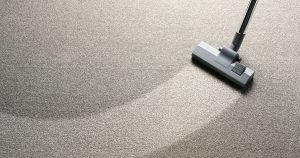 What is the importance of hiring KCJ professional carpet cleaning company in Newmarket? It is actually one key to your carpets lifespan yet it is still something in the household that is commonly disregarded. It’s easy to let the carpet go for a few years but this length of time allows the carpet materials to break down very quickly reducing its lifespan. Once the kids are back in school you can now schedule a carpet cleaning appointment it is a simple way to remind yourself that this task is important and needs to be done. Regular cleaning processes actually extend the life of your carpet. Mould and other growths can’t develop within the material which allows the carpet to look and smell better for a longer period of time. A family can add several more years to their carpet’s life as a result. Professional carpet cleaning in Newmarket should be scheduled at least once a year but if you have a family pets you may want to consider a twice a year clean. This consistent scheduling will keep your carpet looking and smelling fresh as well as reducing the need to replace the carpet before their expected lifespan. We want our customers to be satisfied and happy with our service. Contact KCJ Carpet Cleaning in Newmarket today on 1300 006 226. We guarantee the best service for you.